Our friend Nikolai Shishigin has passed away on June 26, 2018. In his last professional positions, he was the Director of the Museum of Khomus of the Peoples of the World in Yakutsk and the General Secretary of the International Jew’s Harp Society. Nikolai Shishigin was the youngest son in the family of generations of renowned and honoured Yakutian teachers. We all know well his brother Spiridon Shishigin, one of the best and most famous jew’s harp players worldwide, by profession a teacher of Mathematics and director of The School №1 in the Yakutian town of Pokrovsk. Less known in the khomus world are his brothers Alexei, teacher of Russian Language; Egor, History teacher and director of the Yaroslavskiy Museum of Anthropology; Uliana, teacher of Russian Language and of Chess Playing; Agnia, Geography teacher, organizer of a youth-movement and a leader of “Etigen Khomus” Children Ensemble and teacher of playing the khomus. Nikolai was married to Natalia, a former teacher of English Language and a chief accountant as a current post; their children are Lena, English and Spanish teacher and translator/interpreter, an engineer-programmist Alexei and the language-multitalented Pyotr who owns his own travelling agency. Nikolai’s main professional ability was management, organization and motivation. 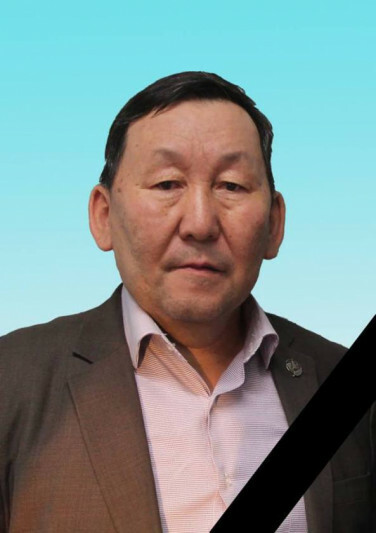 Before becoming director of the Museum of Khomus, he was a director of a primary school and afterwards a mayor in the Yakutian village of Tekhtyr. Nikolai was a man of perfection, enthusiasm and humour. He was used to give 200% in his work and not to pay attention to his personal needs, especially in regard of his health. During events for which he had final responsibility, he was available day and night. Although being the second youngest of the Shishigin family, he was the one caring most about Yakutian traditions. He was a sincere representative of the renaissance of Yakutian shamanism, which the khomus is an important part of, because the khomus in Yakutia is much more than just a national instrument, it is the sound of Yakutian legends and part of Yakutians (Sakha) origin. When Yakutian people moved north, escaping the fierce battles in Mongolia, they did not need their swords anymore; these were melted and jew’s harps and jewelry was made out of the metal. Nikolai was fond of this peaceful connotation of the khomus. Nikolai transformed the Museum of Khomus of the Peoples of the World into an international Mecca for the jew’s harp. He was always radiating with ideas, visions and dreams about the jew’s harp. Against all odds and barriers, he made many of these dreams a reality. He established the Decade of Khomus, he was the initiator of the “International Khomus Day” (30 November), he brought the Khomus into cosmos and he was the main responsible organizer of the 7th International Jew’s harp Festival-Congress. Additionally, he was responsible for the organization of numerous competitions for khomus ensembles, players and makers. As a true son of a teacher’s family, he always paid special attention to the support of children and the young generation. On a personal level, I got to know Nikolai in Tekhtyr, when he was still a school director. We became friends during his stay in Austria in 1993, when I organized a concert-tour for the ensemble “Algys”. At that time it was a shock for the Austrian audience to learn how especially Albina Degtareva, Spiridon Shishigin and Ivan Alexeev played the jew’s harp. It was always a pleasure to cooperate with Nikolai; last time in December 2017 during the Sakha Days in Moscow. Shortly after this stay in Moscow, despite his strong body the liver cancer with metastases in the spine came to surface. His blood-constitution never normalized again and his system reacted negatively to chemotherapy. We were hoping for a wonder, when we –Ivan Alexeev, Spiridon Shishigin and myself– gathered for the last time around his bed in his home, watching the movie “The Strange Sound of Happiness” by Diego Pascal Panarello altogether. Nikolai was a non-conformist speaker; he liked to give emotional, direct and personal speeches. 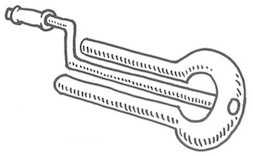 Since he was not able to speak English, he as General Secretary felt inhibited in communicating freely with the global jew’s harp community. In his daughter Elena he found his international tongue, medium of communication and expression of his ideas. But only in his last years he overcame this frustrating language-barrier; not surprisingly it was the jew’s harp which helped him to communicate freely and without words. The best proof for this achieved ability is Diego’s film “The Strange Sound of Happiness”. The main hero from Italy –Diego– finds himself and his inner destiny through the khomus in Yakutia, and the main person enabling this transformation like a shaman is Nikolai Shishigin, who himself comes to communication without language, just through the jew’s harp. I am happy that Nikolai has reached this stage. Yet, I have lost a dear friend. We have lost a dedicated visionary and implementer of jew’s harp-related dreams and ideas. He was one of the few who was able to bring dreams to reality and to ignite other people. Dear Kulanik, the sound of the jew’s harp will keep us connected forever.